The selection of medications for patients with multiple conditions (co-morbidities) always raises conflicts. This is true in general, and especially true for patients with heart failure. For example, patients with heart failure with reduced ejection fraction (HFrEF) have increased risk of atrial fibrillation, whereby sustained rapid ventricular response may worsen the failure due to tachycardiomyopathy. In essence, sustained high heatrates deplete supplies and weaken the heart, which can take months of controlled rates to recover. Medications to control the rate are problematic. Digoxin increases the death rate. Beta blockers and diltiazem decrease the heartrate but also decrease contractility (EF), and in combination may stop the heart (complete heart clock, cardiac arrest). Anti-arrhythmic agents also decrease contractility. Use of beta blockers is encouraged because benefits often outweigh the harm, though in some cases the decline in contractility results in unacceptably low blood pressure. Some patients with rate control issues do not tolerate beta blockers but do better on diltiazem instead. Thus the list of medications that may worsen heart failure constitute “relative contraindications” which means concerning but still possibly useful. In other words, some of the medications that may worsen ejection fraction have net benefit, and may be used with caution. Non-steroidal anti inflammatory agents (NSAIDs) are another example. They relieve pain and add function to patients limited by arthritis. High dose ibuprofen tapered over one month can stop pericarditis, as an alternative to colchicine which may be limited by causing intractable diarrhea. Nonsteroidal anti-inflammatory drugs (NSAIDs) decrease prostaglandin synthesis and, thus, may precipitate fluid retention in patients with heart failure. They also increase blood pressure, impair renal function and promote thrombosis (clotting). Use of NSAIDS has not been shown to curtail joint damage to joints, and daily use for 18 months or more promotes coronary disease. Overall, NSAIDs appear to be over utilized. The high incidence of use of medications that may cause or worsen reduced EF heart failure is a concern of caution. Such use merits continual monitoring for net harm versus benefit on an individual basis. The study in AJC documenting the high incidence of use of medications that worsen heart failure in patients already known to have reduced ejection fraction is helpful as a reminder of caution highlighting the importance of individualizing medication choices, but should not be rigidly interpreted as absolute contraindication or presumed error. In this episode, Andrew Perry, MD, discusses the utility of ejection fraction (EF) with John Gorcsan III, MD, an expert in echocardiography and strain imaging at Washington University School of Medicine in St. Louis. They explore how EF came to be used in clinical practice, the importance of it in heart failure and the variation in measurement. The interview also covers strain imaging and what it adds to ejection fraction, particularly in the setting of severe mitral regurgitation. In heart failure (HF) with reduced ejection fraction (HFrEF), a drop in pro-B-type natriuretic peptide (NT-proBNP) to <1000 mg/mL reflects reverse remodeling and improved ejection fraction (EF). Authors suggest that response to treatment based on change in NT-proBNP might outweigh treatment strategy. Whether lower NT-proBNP levels reflect changes in cardiac structure and function has been unclear. No significant between-group differences in left ventricular (LV) end-systolic volume index (ESVi), NT-proBNP, EF. Greater improvement in global longitudinal strain, less mitral regurgitation. Greater reduction in NT-proBNP correlated with significantly greater EF, ESVi, EDVi improvements. Randomized parallel-group multicenter GUIDE-IT Echo Substudy. 268 adults with HFrEF, EF ≤40%, NT-proBNP >2000 pg/mL randomly assigned to NT-proBNP-guided therapy vs usual care. Outcome: 12-month change in LV ESVi on echocardiography. Duration of NT-proBNP <1000 not assessed. Pearls From: Ted Feldman, MD – A glimmer of hope for HFpEF treatment? HFpEF is similar in frequency and sadly, similar in prognosis to heart failure with reduced ejection fraction, and everybody thinks about the EF 20% or 30% patient as having a poor prognosis and doesn’t realize that the EF 40% or 45% or 50% patient with clinical heart failure has the same prognosis. Patients with mitral stenosis and elevated left atrial pressure, which is the genesis of HFpEF, if they had an ASD historically, this decompressed the left atrium and they presented much, much later in the course of the disease with any signs of heart failure. Left inter-atrial shunt implant device, Dr. Ted Feldman calls IASD. It’s like an ASD occluder, a little nitinol disc, but it has a hole in the middle. We did some baseline hemodynamic modeling using a simulator and calculated that we would get a small shunt with an eight millimeter opening, that that would be enough to reduce left atrial pressure overload during exercise without overloading the right side of the heart, without creating too big a shunt. Preliminary results: We found that peak exercise wedge pressure was significantly decreased in the patients with the device compared to those without a shunt. We found that the shunt ratio, the amount of flow across the shunt was a Qp:Qs, pulmonary to systemic flow ratio, of 1.2 preserved at 30 days and 6 months and that most of these patients feel better. The mechanism, I think we’ve established, that we do decompress the left atrium with exertion and now we need to demonstrate that the clinical outcomes in a larger population are robust enough to carry this into practice. The assertion of “no treatment for HFpEF” (elevated left ventricular diastolic filling pressure) does not give credit to evidence and support for benefit from triple therapy of beta blocker, acei/arb/arni, and aldosterone inhibitor, plus tight blood pressure control and additional afterload reduction if valve leaks contribute to the elevated diastolic filling pressures. It is an interesting proposition to induce an 8 mm intra-atrial septum (IAS) shunt, which may indeed unload high pressure in the left atrium and hence unload the left ventricle during diastole (when the mitral valve is open so the left ventricle and left atrium equalize pressures) if patients are very carefully selected and do not have high pressures in the right atrium. However, elevated left ventricular pressure is associated with reduced compliance (stiffness) of the left ventricle, for example due to high blood pressure, muscle hypertrophy and fibrosis. Adverse consequences include not only the high pressure which can back up to the lungs, making them boggy and therefore impair oxygen uptake resulting in shortness of breath worse laying down whereby more lung area is affected. The “back pressure” also promotes hepatic congestion and leg swelling. Each of those features of “diastolic failure” which underlies “HFpEF” may benefit from the proposed shunt if right atrial pressures are low, with or without preserved ejection fraction (pEF). However, there is an additional adverse consequence of a stiff left ventricle called “filling dependence” – if pressure is relieved, the left ventricle may under fill, reducing stroke volume and blood pressure, cardiac output (stroke volume times heart rate), thereby reducing organ perfusion. Low blood pressure with lightheaded spells is a common consequence. Over time, metarterioles to the brain can adjust to accommodate lower pressures. The kidneys as well as the brain are very sensitive to adequacy of cardiac output. A marked decline in renal function due to “pre-renal azotemia” is a common consequence that can limit any approach at lowering the diastolic filling pressure, which is seen commonly with use of diuretics to lower pressures. The clinical manifestations of paradoxical embolism (PDE) are nonspecific,  and the diagnosis is difficult to establish. Patients with PDE may present with neurologic abnormalities or features suggesting arterial embolism. The disease starts with the formation of emboli within the venous system, which traverse a patent foramen ovale (PFO) and enter the systemic circulation. [2, 3, 4] PFOs have been found on autopsy in up to 35% of the healthy population. PDE originates in the veins of the lower extremities and occasionally in the pelvic veins. Emboli may be of various types, such as clots, air, tumor, fat, and amniotic fluid. Septic emboli have led to brain abscesses. Projectile embolization is rare (eg, from a shotgun pellet). Management of PDE is both medical and surgical in nature. PDE is considered the major cause of cerebral ischemic events in young patients. On rare occasions, it may occlude the pelvic aortic bifurcation. The largest documented thrombus in a PFO (impending PDE) was 25 cm in length. DANVERS, Mass., April 07, 2016 (GLOBE NEWSWIRE) — Abiomed, Inc. (NASDAQ:ABMD), a leading provider of breakthrough heart support technologies, today announced that it has received U.S. Food and Drug Administration (FDA) Pre-Market Approval (PMA) for its Impella 2.5™, Impella CP®, Impella 5.0™ and Impella LD™ heart pumps to provide treatment of ongoing cardiogenic shock. In this setting, the Impella heart pumps stabilize the patient’s hemodynamics, unload the left ventricle, perfuse the end organs and allow for recovery of the native heart. This latest approval adds to the prior FDA indication of Impella 2.5 for high risk percutaneous coronary intervention (PCI), or Protected PCI™, received in March 2015. The Impella 2.5, Impella CP, Impella 5.0 and Impella LD catheters, in conjunction with the Automated Impella Controller console, are intended for short-term use (<4 days for the Impella 2.5 and Impella CP and <6 days for the Impella 5.0 and Impella LD) and indicated for the treatment of ongoing cardiogenic shock that occurs immediately (<48 hours) following acute myocardial infarction (AMI) or open heart surgery as a result of isolated left ventricular failure that is not responsive to optimal medical management and conventional treatment measures with or without an intra-aortic balloon pump. The intent of the Impella system therapy is to reduce ventricular work and to provide the circulatory support necessary to allow heart recovery and early assessment of residual myocardial function. The product labeling also allows for the clinical decision to leave Impella 2.5, Impella CP, Impella 5.0 and Impella LD in place beyond the intended duration of four to six days due to unforeseen circumstances. The Impella products offer the unique ability to both stabilize the patient’s hemodynamics before or during a PCI procedure and unload the heart, which allows the muscle to rest and potentially recover its native function. Heart recovery is the ideal option for a patient’s quality of life and as documented in several clinical papers, has the ability to save costs for the healthcare system1,2,3. Cardiogenic shock is a life-threatening condition in which the heart is suddenly unable to pump enough blood and oxygen to support the body’s vital organs. For this approval, it typically occurs during or after a heart attack or acute myocardial infarction (AMI) or cardiopulmonary bypass surgery as a result of a weakened or damaged heart muscle. Despite advancements in medical technology, critical care guidelines and interventional techniques, AMI cardiogenic shock and post-cardiotomy cardiogenic shock (PCCS) carry a high mortality risk and has shown an incremental but consistent increase in occurrence in recent years in the United States. The data submitted to the FDA in support of the PMA included an analysis of 415 patients from the RECOVER 1 study and the U.S. Impella registry (cVAD Registry™), as well as an Impella literature review including 692 patients treated with Impella from 17 clinical studies. A safety analysis reviewed over 24,000 Impella treated patients using the FDA medical device reporting (“MDR”) database, which draws from seven years of U.S. experience with Impella. In addition, the Company also provided a benchmark analysis of Impella patients in the real-world Impella cVAD registry vs. these same patient groups in the Abiomed AB5000/BVS 5000 Registry. The Abiomed BVS 5000 product was the first ventricular assist device (VAD) ever approved by the FDA in 1991 based on 83 patient PMA study. In 2003, the AB5000 Ventricle received FDA approval and this also included a PMA study with 60 patients. For this approval, the data source for this benchmark analysis was a registry (“AB/BVS Registry”) that contained 2,152 patients that received the AB5000 and BVS 5000 devices, which were originally approved for heart recovery. The analysis examined by the FDA used 204 patients that received the AB5000 device for the same indications. This analysis demonstrated significantly better outcomes with Impella in these patients. The Company believes this is the most comprehensive review ever submitted to the FDA for circulatory support in the cardiogenic shock population. Maini B, Gregory D, Scotti DJ, Buyantseva L. Percutaneous cardiac assist devices compared with surgical hemodynamic support alternatives: Cost-Effectiveness in the Emergent Setting.Catheter Cardiovasc Interv. 2014 May 1;83(6):E183-92. Cheung A, Danter M, Gregory D. TCT-385 Comparative Economic Outcomes in Cardiogenic Shock Patients Managed with the Minimally Invasive Impella or Extracorporeal Life Support. J Am Coll Cardiol. 2012;60(17_S):. doi:10.1016/j.jacc.2012.08.413. Impella 2.5 received FDA PMA approval for high risk PCI in March 2015, is supported by clinical guidelines, and is reimbursed by the Centers for Medicare & Medicaid Services (CMS) under ICD-9-CM code 37.68 for multiple indications. The Impella RP® device received Humanitarian Device Exemption (HDE) approval in January 2015. The Impella product portfolio, which is comprised of Impella 2.5, Impella CP, Impella 5.0, Impella LD, and Impella RP, has supported over 35,000 patients in the United States. The ABIOMED logo, ABIOMED, Impella, Impella CP, and Impella RP are registered trademarks of Abiomed, Inc. in the U.S.A. and certain foreign countries. Impella 2.5, Impella 5.0, Impella LD, and Protected PCI are trademarks of Abiomed, Inc. This release includes forward-looking statements. These forward-looking statements generally can be identified by the use of words such as “anticipate,” “expect,” “plan,” “could,” “may,” “will,” “believe,” “estimate,” “forecast,” “goal,” “project,” and other words of similar meaning. These forward-looking statements address various matters including, the Company’s guidance for fiscal 2016 revenue. Each forward-looking statement contained in this press release is subject to risks and uncertainties that could cause actual results to differ materially from those expressed or implied by such statement. Applicable risks and uncertainties include, among others, uncertainties associated with development, testing and related regulatory approvals, including the potential for future losses, complex manufacturing, high quality requirements, dependence on limited sources of supply, competition, technological change, government regulation, litigation matters, future capital needs and uncertainty of additional financing, and the risks identified under the heading “Risk Factors” in the Company’s Annual Report on Form 10-K for the year ended March 31, 2015 and the Company’s Quarterly Report on Form 10-Q for the quarter ended September 30, 2015, each filed with the Securities and Exchange Commission, as well as other information the Company files with the SEC. We caution investors not to place considerable reliance on the forward-looking statements contained in this press release. You are encouraged to read our filings with the SEC, available at www.sec.gov, for a discussion of these and other risks and uncertainties. The forward-looking statements in this press release speak only as of the date of this release and the Company undertakes no obligation to update or revise any of these statements. Our business is subject to substantial risks and uncertainties, including those referenced above. Investors, potential investors, and others should give careful consideration to these risks and uncertainties. 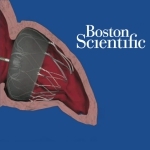 Boston Scientific (NYSE:BSX) reportedly halted European sales of its the next generation of its anti-stroke device, the Watchman FLX, after receiving reports of device embolization. Spokeswoman Trish Backes told TCTMD that there were 6 device embolizations in 207 (2.9%) European implantations of the Watchman FLX, an implant that designed to occlude the heart’s left atrial appendage. One of those patients died from complications related to an infection suffered after the device was retrieved. The 1st-generation Watchman device showed a 30-day embolization rate of 0 to 0.7% in trials, and a post-approval registry called Ewolution showed a rate of 0.2%. The Watchman FLX device won CE Mark approval in the European Unionlast November; the original iteration won FDA approval in March 2015. Watchman FLX will be taken off the shelves until Boston Scientific can determine what’s causing the unexpectedly high embolism rate, Backes told the website. Medical officers with the Marlborough, Mass.-based company, speaking at the annual conference of the American College of Cardiology, said they’ll look at whether physician training or implant technique are factors. The company said the sales halt for Watchman FLX will not affect its structural heart sales forecast of $175 million to $200 million this year. Boston Scientific said earlier this week at ACC 2016 that a review of the 1st 1,000 Watchman patients found similar results as in pre-market trials. Medtronic recalled its dual chamber pacemakers (Adapta, Versa, Sensia, Relia, Attesta, Sphera, and Vitatron A, E, G, and Q series) due to a possible software error that can stop pacing. Imagine spending £3000 on a new watch with a battery embedded in the mechanism that cannot be replaced or recharged. Although the battery is predicted to last 10 years or more, after six years you discover that it is running flat and you’re advised to replace the watch immediately, even though it may keep good time for a year or more. This mirrors the dilemma faced by all patients with cardiac implantable electronic devices such as pacemakers and implantable cardioverter defibrillators (ICD). But for them the stakes are much higher as replacing the battery exposes them to a risk of serious complications, including life threatening infection. What is the risk of infection? The current financial model discourages the development of longer life devices. Increasing longevity would reduce profits for manufacturers, implanting physicians, and their institutions. With financial disincentives for both manufacturers and purchasers it is hardly surprising that longer life devices do not exist. Patients are often assumed to prefer smaller devices, but when offered the choice, over 90% would opt for a larger, longer lasting device over a smaller one that would require more frequent operations to change the battery.7 And given the risks that patients are exposed to during replacement, there is an urgent need to improve longevity by developing longer life batteries and using those in current devices more prudently. At present the main drive to improving longevity of pacemakers has been through programming changes aimed at reducing the amount of pacing8 or minimising the drain of current during pacing—for example, using high impedance leads. But devices are usually replaced when there is still substantial life left in the battery. For example, when a pacemaker reaches elective replacement indication, it is usually 3-12 months before it will reach its end of life. And even then, the battery may continue to function for several months. Early replacement may be reasonable for high risk patients (such as those who are entirely dependent on their pacemaker). However, we could delay replacement of the pulse generator until the batteries are virtually depleted in lower risk patients. The increasingly popular innovation of home monitoring of devices would facilitate this. For ICDs the waste is even more striking; devices reach their elective replacement indication when they are still capable of delivering at least six full energy shocks. Each shock reduces the battery longevity by about 30 days. So for patients who receive no shock therapy we are prematurely discarding a device costing up to £25 000 (€33 000; $36 000), which could last at least another six months (current devices last four to seven years on average). We need to review the timing of replacement of implantable devices in all patients. Kinderman M, Schwaab B, Berg M, Frohlig G. Longevity of dual chamber pacemakers: device and patient related determinants. Pacing Clin Electrophysiol2001;24:810-5. Kurtz SM, Ochoa JA, Lau E, et al. Implantation trends and patient profiles for pacemakers and implantable cardioverter defibrillators in the United States: 1993-2006. Pacing Clin Electrophysiol2010;33:705-11. Ramachandra I. Impact of ICD battery longevity on need for device replacements–insights from a Veterans Affairs database. Pacing Clin Electrophysiol2010;33:314-9. Uslan DZ, Gleva MJ, Warren DK, et al, Cardiovascular implantable electronic device replacement infections and prevention: results from the REPLACE registry. Circulation2010;122:1553-61. Gould PA, Krahn AD. Complications associated with implantable cardioverter-defibrillator replacement in response to device advisories. JAMA2006;295:1907-11. Boriani G, Braunschweig F, Deharo JC, Leyva F, Lubinski A, Lazzaro C. Impact of extending device longevity on the long-term costs of implantable cardioverter defibrillator therapy: a modelling study with a 15-year time horizon.Europace2013;15:1453-62. Wild DM, Fisher JD, Kim SG, Ferrick KJ, Gross JN, Palma EC. Pacemakers and implantable cardioverter defibrillators: device longevity is more important than smaller size: the patient’s viewpoint. Pacing Clin Electrophysiol2004;27:1526-9. Benkemoun H, Sacrez J, Lagrange P, et al. Optimizing pacemaker longevity with pacing mode and settings programming: results from a pacemaker multicenter registry. Pacing Clin Electrophysiol2012;35:403-8. I came across a few recent articles on the subject of US Patent Office guidance on patentability as well as on Supreme Court ruling on claims. I filed several patents on clinical laboratory methods early in my career upon the recommendation of my brother-in-law, now deceased. Years later, after both brother-in-law and patent attorney are no longer alive, I look back and ask what I have learned over $100,000 later, with many trips to the USPTO, opportunities not taken, and a one year provisional patent behind me. (1) that patents are for the protection of the innovator, who might realize legal protection, but the cost and the time investment can well exceed the cost of startup and building a small startup enterprize, that would be the next step. (2) The other thing to consider is the capability of the lawyer or firm that represents you. A patent that is well done can be expected to take 5-7 years to go through with due diligence. I would not expect it to be done well by a university with many other competing demands. I might be wrong in this respect, as the climate has changed, and research universities have sprouted engines for change. Experienced and productive faculty are encouraged or allowed to form their own such entities. (3) The emergence of Big Data, computational biology, and very large data warehouses for data use and integration has changed the landscape. The resources required for an individual to pursue research along these lines is quite beyond an individuals sole capacity to successfully pursue without outside funding. In addition, the changed designated requirement of first to publish has muddied the water. Of course, one can propose without anything published in the public domain. That makes it possible for corporate entities to file thousands of patents, whether there is actual validation or not at the time of filing. It would be a quite trying experience for anyone to pursue in the USPTO without some litigation over ownership of patent rights. 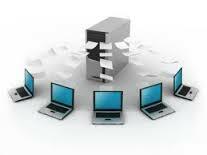 At this stage of of technology development, I have come to realize that the organization of research, peer review, and archiving of data is still at a stage where some of the best systems avalailable for storing and accessing data still comes considerably short of what is needed for the most complex tasks, even though improvements have come at an exponential pace. I shall not comment on the contested views held by physicists, chemists, biologists, and economists over the completeness of guiding theories strongly held. Only history will tell. Beliefs can hold a strong sway, and have many times held us back. I am not an expert on legal matters, but it is incomprehensible to me that issues concerning technology innovation can be adjudicated in the Supreme Court, as has occurred in recent years. I have postgraduate degrees in Medicine, Developmental Anatomy, and post-medical training in pathology and laboratory medicine, as well as experience in analytical and research biochemistry. It is beyond the competencies expected for these type of cases to come before the Supreme Court, or even to the Federal District Courts, as we see with increasing frequency, as this has occurred with respect to the development and application of the human genome. I’m not sure that the developments can be resolved for the public good without a more full development of an open-access system of publishing. Now I present some recent publication about, or published by the USPTO. YOU ARE FOLLOWING THIS BLOG You are following this blog, along with 1,014 other amazing people (manage). Abstract In June 2013, the U.S. Supreme Court issued a unanimous decision upending more than three decades worth of established patent practice when it ruled that isolated gene sequences are no longer patentable subject matter under 35 U.S.C. Section 101.While many practitioners in the field believed that the USPTO would interpret the decision narrowly, the USPTO actually expanded the scope of the decision when it issued its guidelines for determining whether an invention satisfies Section 101. The guidelines were met with intense backlash with many arguing that they unnecessarily expanded the scope of the Supreme Court cases in a way that could unduly restrict the scope of patentable subject matter, weaken the U.S. patent system, and create a disincentive to innovation. By undermining patentable subject matter in this way, the guidelines may end up harming not only the companies that patent medical innovations, but also the patients who need medical care. This article examines the guidelines and their impact on various technologies. 35 U.S.C. Section 101 states “Whoever invents or discovers any new and useful process, machine, manufacture, or composition of matter, or any new and useful improvement thereof, may obtain a patent therefor, subject to the conditions and requirements of this title. Association for Molecular Pathology et al., v. Myriad Genetics, Inc., 569 U.S. ___ (2013). USPTO. Guidance For Determining Subject Matter Eligibility Of Claims Reciting Or Involving Laws of Nature, Natural Phenomena, & Natural Products. A 2013 Supreme Court decision that barred human gene patents is scrambling patenting policies. A year after the U.S. Supreme Court issued a landmark ruling that human genes cannot be patented, the biotech industry is struggling to adapt to a landscape in which inventions derived from nature are increasingly hard to patent. It is also pushing back against follow-on policies proposed by the U.S. Patent and Trademark Office (USPTO) to guide examiners deciding whether an invention is too close to a natural product to deserve patent protection. Those policies reach far beyond what the high court intended, biotech representatives say. “Everything we took for granted a few years ago is now changing, and it’s generating a bit of a scramble,” says patent attorney Damian Kotsis of Harness Dickey in Troy, Michigan, one of more than 15,000 people who gathered here last week for the Biotechnology Industry Organization’s (BIO’s) International Convention. At the meeting, attorneys and executives fretted over the fate of patent applications for inventions involving naturally occurring products—including chemical compounds, antibodies, seeds, and vaccines—and traded stories of recent, unexpected rejections by USPTO. Industry leaders warned that the uncertainty could chill efforts to commercialize scientific discoveries made at universities and companies. Some plan to appeal the rejections in federal court. USPTO officials, meanwhile, implored attendees to send them suggestions on how to clarify and improve its new policies on patenting natural products, and even announced that they were extending the deadline for public comment by a month. “Each and every one of you in this room has a moral duty … to provide written comments to the PTO,” patent lawyer and former USPTO Deputy Director Teresa Stanek Rea told one audience. At the heart of the shake-up are two Supreme Court decisions: the ruling last year in Association for Molecular Pathology v. Myriad Genetics Inc. that human genes cannot be patented because they occur naturally (Science, 21 June 2013, p. 1387); and the 2012 Mayo v. Prometheus decision, which invalidated a patent on a method of measuring blood metabolites to determine drug doses because it relied on a “law of nature” (Science, 12 July 2013, p. 137). Myriad and Mayo are already having a noticeable impact on patent decisions, according to a study released here. It examined about 1000 patent applications that included claims linked to natural products or laws of nature that USPTO reviewed between April 2011 and March 2014. Overall, examiners rejected about 40%; Myriad was the basis for rejecting about 23% of the applications, and Mayo about 35%, with some overlap, the authors concluded. That rejection rate would have been in the single digits just 5 years ago, asserted Hans Sauer, BIO’s intellectual property counsel, at a press conference. (There are no historical numbers for comparison.) The study was conducted by the news service Bloomberg BNA and the law firm Robins, Kaplan, Miller & Ciseri in Minneapolis, Minnesota. USPTO is extending the decisions far beyond diagnostics and DNA? The numbers suggest USPTO is extending the decisions far beyond diagnostics and DNA, attorneys say. Harness Dickey’s Kotsis, for example, says a client recently tried to patent a plant extract with therapeutic properties; it was different from anything in nature, Kotsis argued, because the inventor had altered the relative concentrations of key compounds to enhance its effect. Nope, decided USPTO, too close to nature. In March, USPTO released draft guidance designed to help its examiners decide such questions, setting out 12 factors for them to weigh. For example, if an examiner deems a product “markedly different in structure” from anything in nature, that counts in its favor. But if it has a “high level of generality,” it gets dinged. Get creative in using Draft Guidelines! For now, Kostis says, applicants will have to get creative to reduce the chance of rejection. Rather than claim protection for a plant extract itself, for instance, an inventor could instead patent the steps for using it to treat patients. 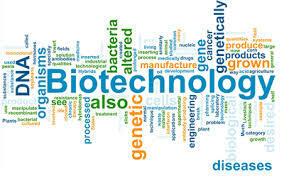 Other biotech attorneys may try to narrow their patent claims. But there’s a downside to that strategy, they note: Narrower patents can be harder to protect from infringement, making them less attractive to investors. Others plan to wait out the storm, predicting USPTO will ultimately rethink its guidance and ease the way for new patents. PDF Zipped version of the MPEP current revision in the PDF format. The USPTO continues to offer an online discussion tool for commenting on selected chapters of the Manual. To participate in the discussion and to contribute your ideas go to: http://uspto-mpep.ideascale.com. Note: For current fees, refer to the Current USPTO Fee Schedule. See the user manual or quick reference guide for help with search features (e.g., default operators, proximity searches, and wild cards) and navigation. The documents updated in the Ninth Edition of the MPEP, dated March 2014, include changes that became effective in November 2013 or earlier. All of the documents have been updated for the Ninth Edition except Chapters 800, 900, 1000, 1300, 1700, 1800, 1900, 2000, 2300, 2400, 2500, and Appendix P.
More information about the changes and updates is available from the “Blue Page – Introduction” of the Searchable MPEP or from the “Summary of Changes” link to the HTML and PDF versions provided below. Discuss the Manual of Patent Examining Procedure (MPEP) Welcome to the MPEP discussion tool! We have received many thoughtful ideas on Chapters 100-600 and 1800 of the MPEP as well as on how to improve the discussion site. Each and every idea submitted by you, the participants in this conversation, has been carefully reviewed by the Office, and many of these ideas have been implemented in the August 2012 revision of the MPEP and many will be implemented in future revisions of the MPEP. The August 2012 revision is the first version provided to the public in a web based searchable format. The new search tool is available at http://mpep.uspto.gov. We would like to thank everyone for participating in the discussion of the MPEP. We have some great news! Chapters 1300, 1500, 1600 and 2400 of the MPEP are now available for discussion. Please submit any ideas and comments you may have on these chapters. Also, don’t forget to vote on ideas and comments submitted by other users. As before, our editorial staff will periodically be posting proposed new material for you to respond to, and in some cases will post responses to some of the submitted ideas and comments.Recently, we have received several comments concerning the Leahy-Smith America Invents Act (AIA). Please note that comments regarding the implementation of the AIA should be submitted to the USPTO via email t aia_implementation@uspto.gov or via postal mail, as indicated at the America Invents Act Web site. Additional information regarding the AIA is available at www.uspto.gov/americainventsact We have also received several comments suggesting policy changes which have been routed to the appropriate offices for consideration. We really appreciate your thinking and recommendations! The FDA published its new Guidance for Industry (GfI) – “Electronic Source Data in Clinical Investigations” in September 2013. The Guidance defines the expectations of the FDA concerning electronic source data generated in the context of clinical trials. Find out more about this Guidance.